Pax Earth observed 10th Anniversary organising a short and sweet program at its Secretariat on July 17, 2018. The celebration started with cutting the 10th anniversary cake by chief advisor Rabindra Man Joshi. 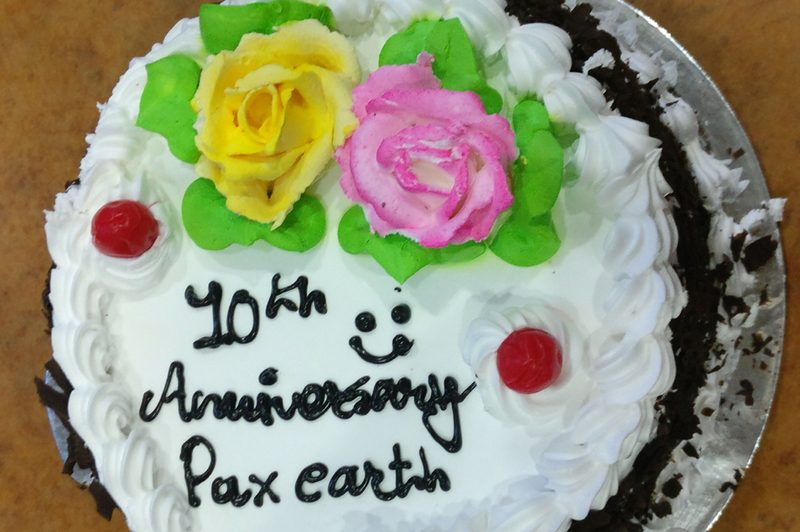 He congratulated Pax Earth for the 10-years of successful social journey. Joshi praised the leadership, transparency and team-work which have been the hallmark of the organisation’s success till today. He wished for more social glories in the days and years ahead. 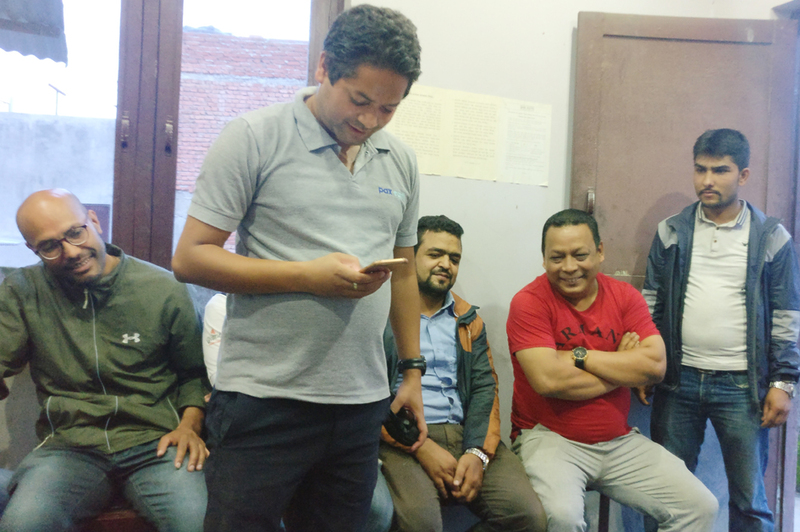 One by one, member and well-wisher congratulated each other and wished for the progress, growth and prosperity of the organisation in the days ahead. 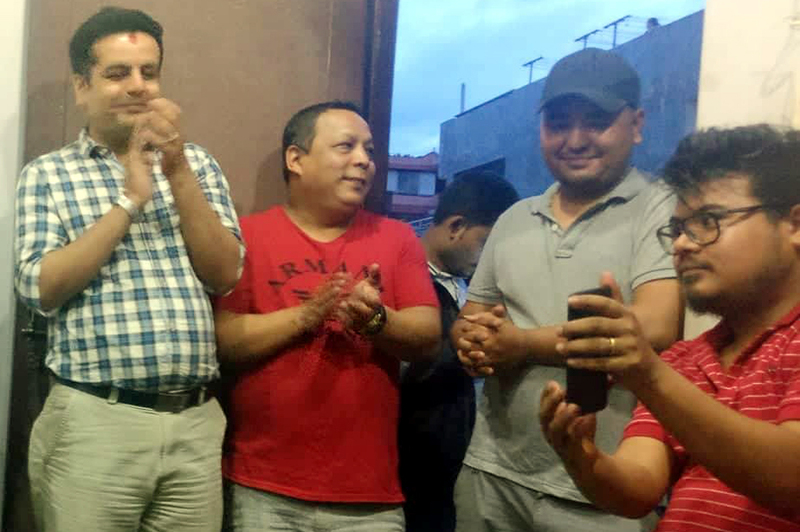 Vice president Guna Raj Pyakurel and former secretary Binod Prasad Mainali, both in abroad, extended anniversary greetings through online social network. After the greeting exchanges, the floor was open for discussion. 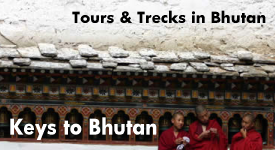 Many members pointed towards slow growth of the organisation in terms of fund and projects. Some members suggested that it is a high time to devise a strategic plan for the next 5-year. Others pointed towards the importance of forming an entrepreneur group among the Pax Earth members to develop a sustainable business model to sustain the organisation and projects. 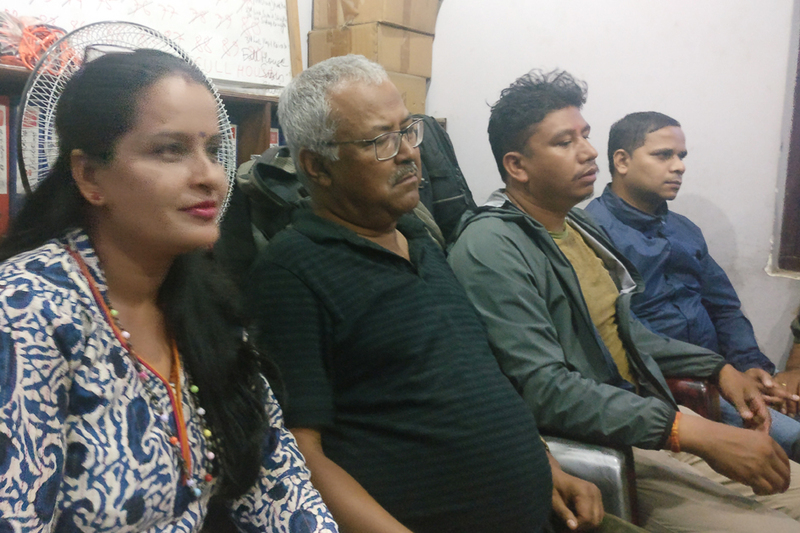 This view is in a same line with the outcome of a joint meeting between PEJ and Pax Earth Nepal (PEN) held on May 5, 2018. In the meeting, president Aoki suggested to create a suitable business model in which he and other members from PEJ could join. In the same concern, chief advisor Joshi ensured to extend all possible support to entrepreneur group particularly in developing a business model out of raw (business) ideas. President Sujan Koirala, in his vote of thanks, congratulated all members and well-wishers on 10th anniversary. He heartily thanked chief advisor Joshi, members and well-wishers for their valuable presence and constructive opinions. He shared the pros and cons of the organisation considering the changing political environment of the country. He shared about the procedural difficulties while renewing the organisation in respected government agencies every year. He answered to the queries raised by the members. He expected the next 10-years will shape the future of this organisation and urged all the members and well-wishers to contribute their level best to uplift the organisation and turn it to one of the leading organisations in uplifting the community. He also hinted some of the possible paths Pax Earth may undertake in the future. He praised the role played by president Aoki in raising fund to sustain the projects and the organisation and Shoyu Club for making this possible for the past 10-years. He thanked national representative for Australia Saroj Ghimire for his yearly contribution. He thanked Sanga Sangai e.V. 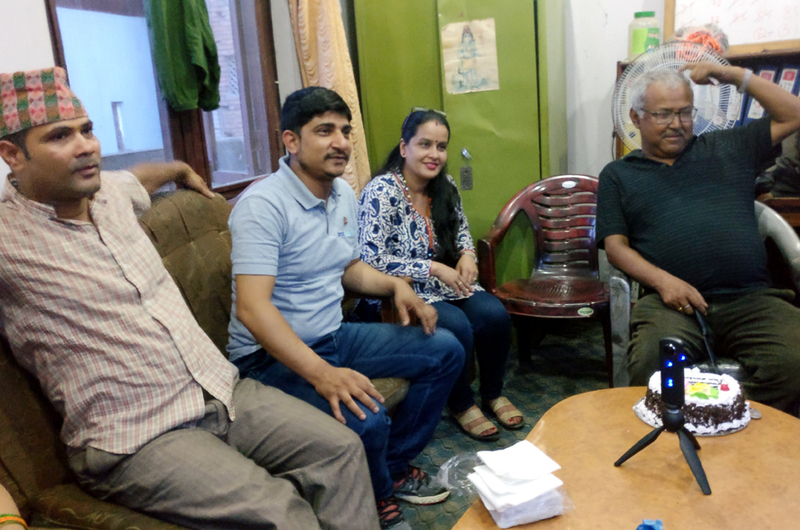 for the contribution extended for the flood drive last year and member Prabin Giri to make this possible. He thanked Peace Nepal Academy, Jane Skidmore and members and well-wishers for the contribution to the flood drive and eye camp as well. He admired chief advisor Joshi for his recent contribution to create a long-term fund. He was grateful to honorary member Nilamber Badal for the outstanding advisory role for a decade. He expressed a deep gratitude to executive committee members, members, country representatives and well-wishers who directly and indirectly contributed and shaped Pax Earth and its projects in the last 10-years. He also thanked all the local stakeholders in Kot Timal and Kanpur villages for their support in implementing water to livelihoods (W2L) and mission education and environment (MEE) projects. He assured if Pax Earth succeeds in raising more funds, there will certainly be more projects and activities. He, therefore, requested all members, advisors, national representatives and well-wishers to play a strong role in raising more funds. Everybody, present at the event, ensured commitment to contribute to let the organisation leapfrog in terms of projects and achievements in the days to come. Including members, chief advisor and well-wishers, twenty persons attended the celebration. Momos and cold drinks were served as snacks at the end. 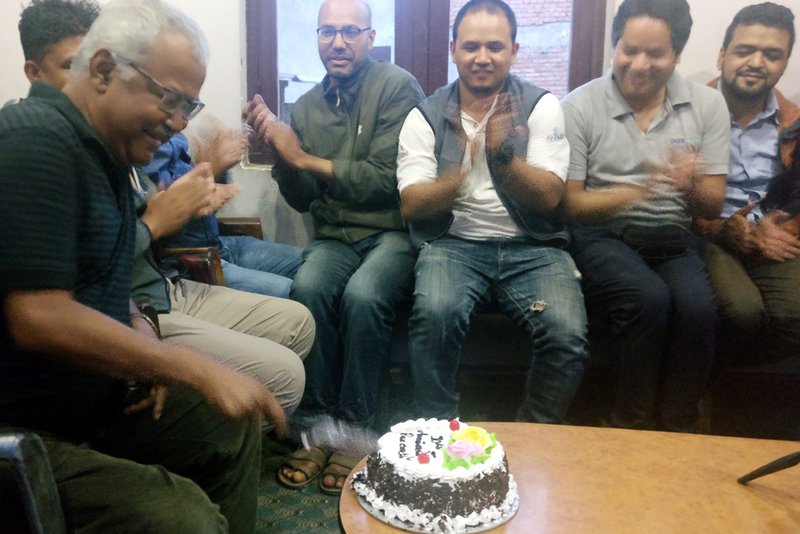 Pax Earth would like to thank chief advisor (Rabindra Man Joshi), members (president Sujan Koirala, secretary Manohar Sapkota, treasurer Bal Gopal Shrestha, Jt. Secretary Jamuna Siwakoti, executive committee members: Laxman B. Pahari and Laxman Pd. 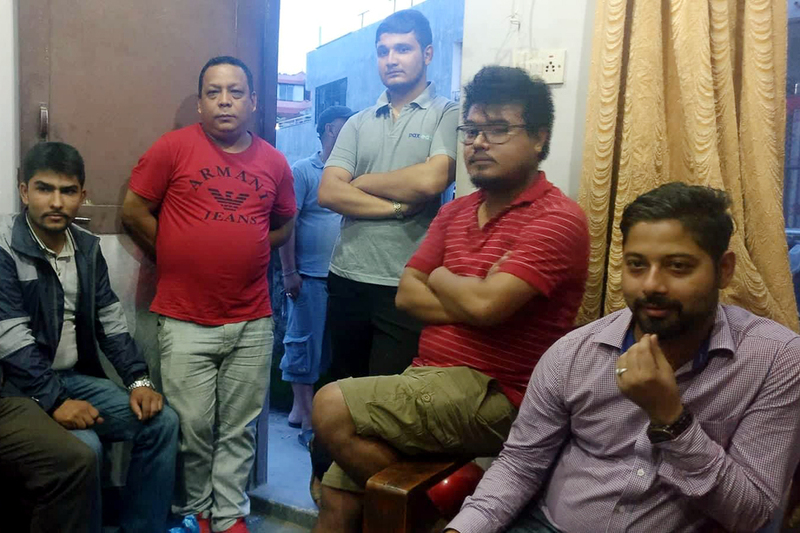 Neupane, members: Debraj Ghimire, Dev Raj Karki, Sachin Koirala, Prabin Giri, Rounik Aryal, Badri Sigdel, Akira Sahukhal and Anita Subedi) and well-wishers (Prakash Adhikari, Sudeep Karmacharya and Supendra Raj Bhandari) for attending the event.